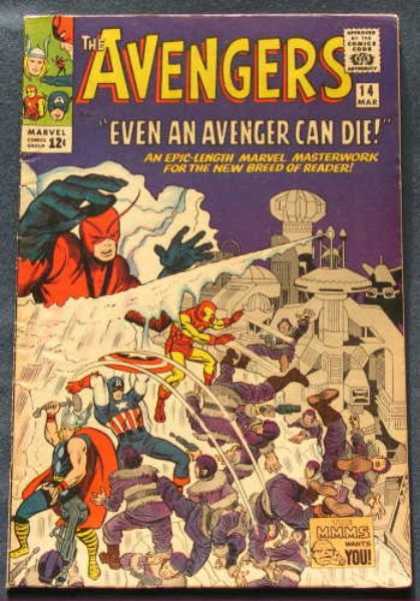 The Avengers is a fictional team of superheroes, appearing in magazines published by Marvel Comics. 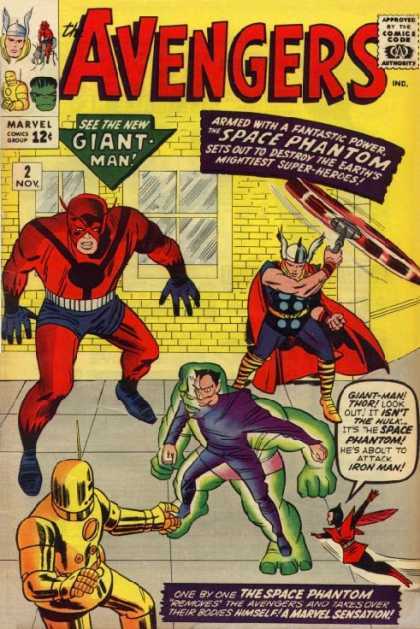 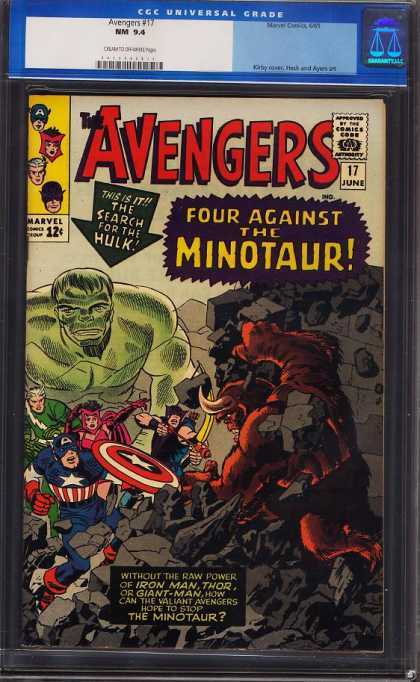 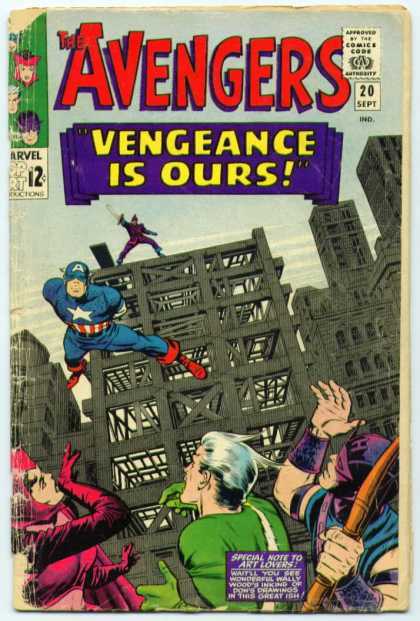 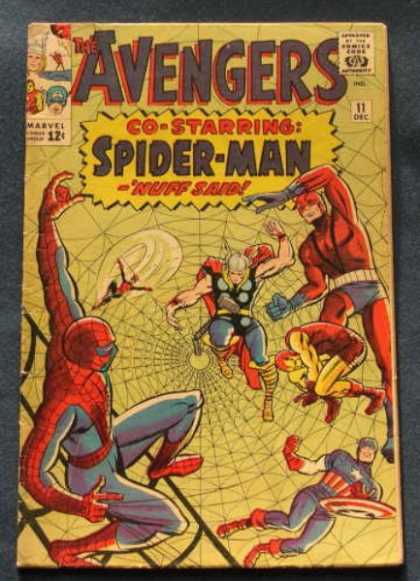 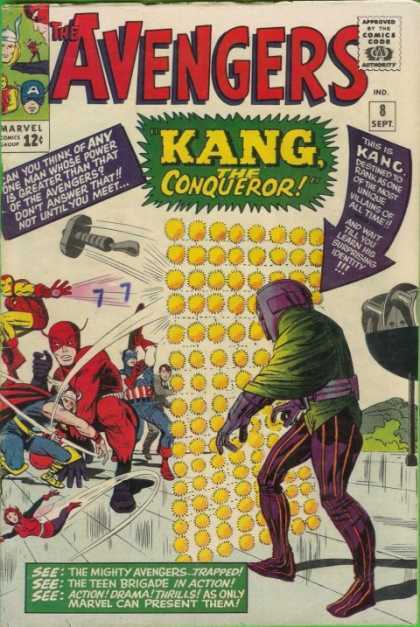 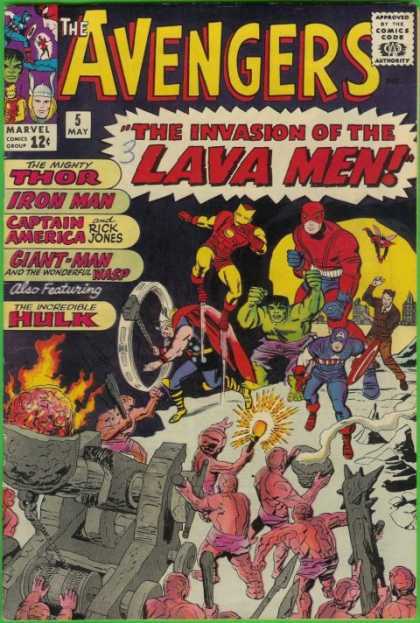 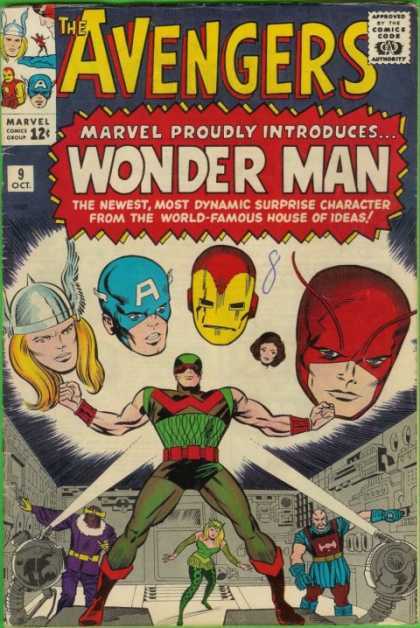 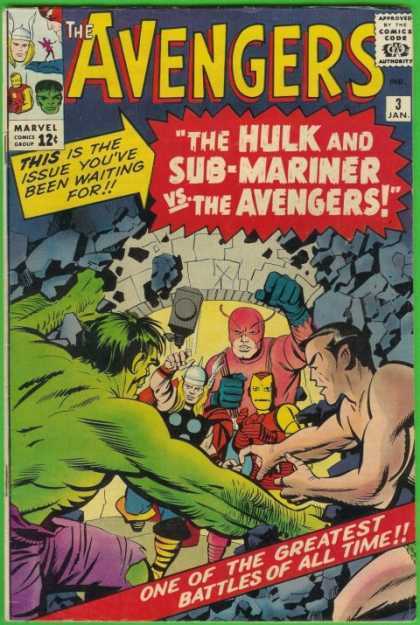 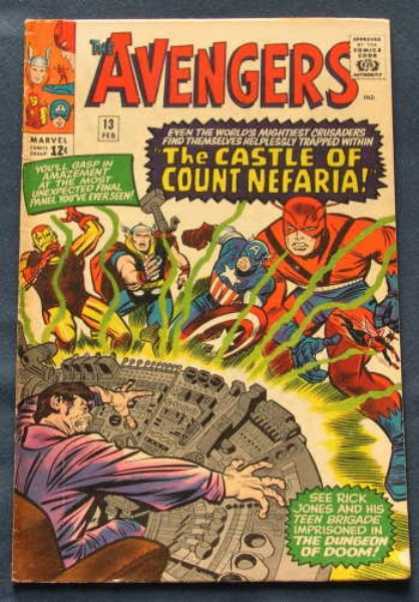 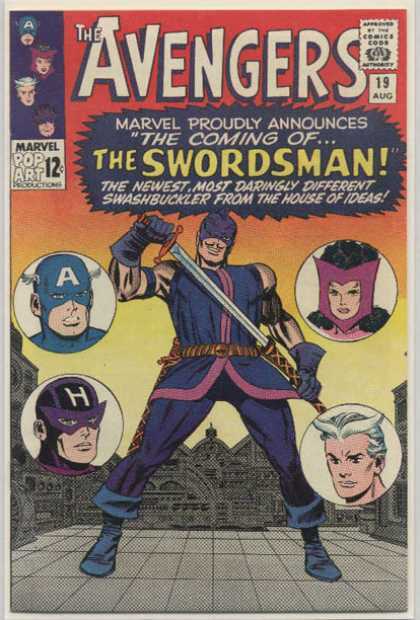 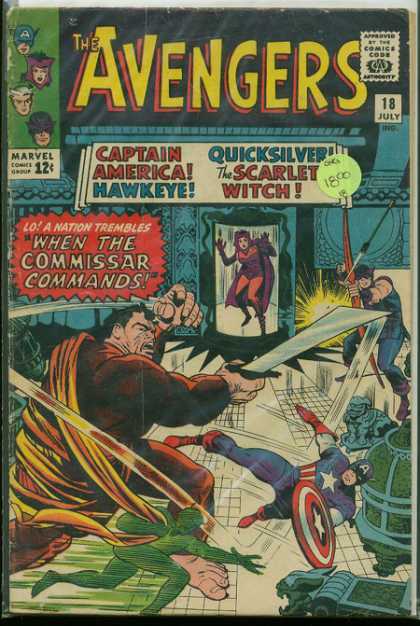 The team made its debut in The Avengers #1 (Sept. 1963), and was created by writer-editor Stan Lee and artist/co-plotter Jack Kirby, following the trend of super-hero teams after the success of DC Comics' Justice League of America. 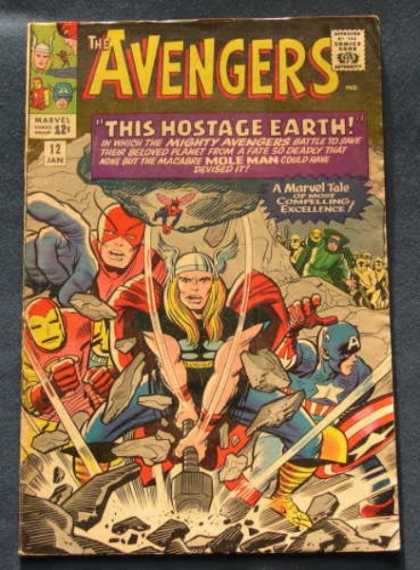 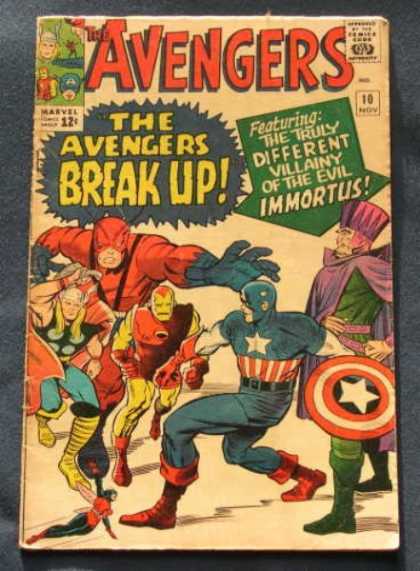 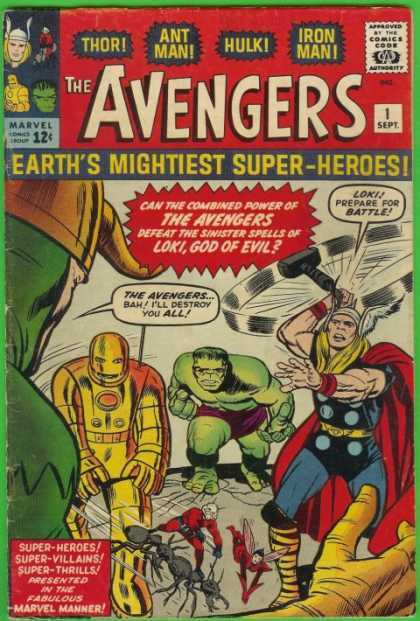 Labeled "Earth's Mightiest Heroes", the Avengers originally consisted of Iron Man (Tony Stark), Ant-Man (Dr. Henry Pym), Wasp (Janet Van Dyne), Thor, and the Hulk (Bruce Banner). 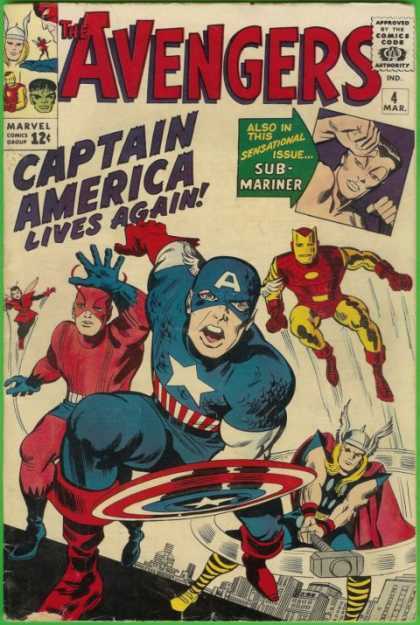 The original Captain America was discovered by the team in issue #4, trapped in ice, and he joined the group when they revived him. 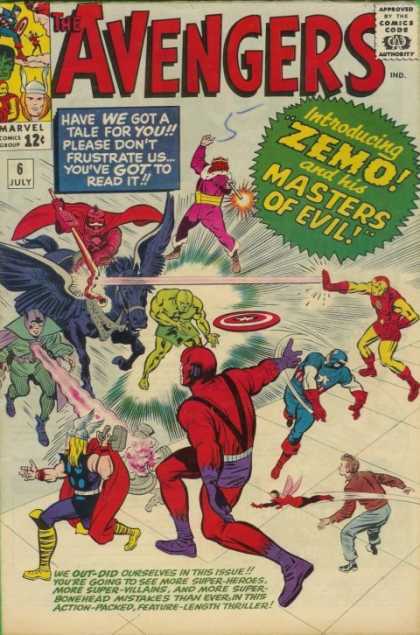 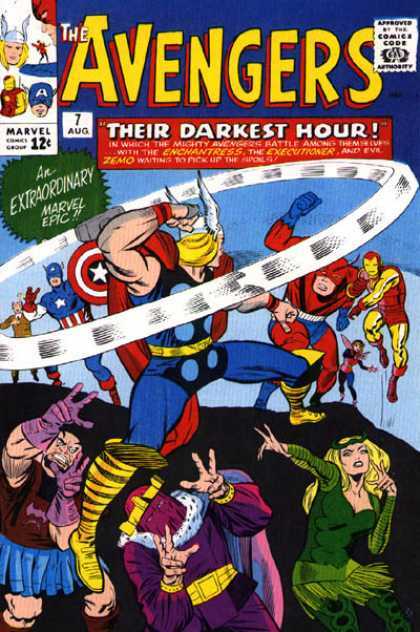 The rotating roster has become a hallmark of the team, although one theme remains consistent: the Avengers fight "the foes no single superhero can withstand". 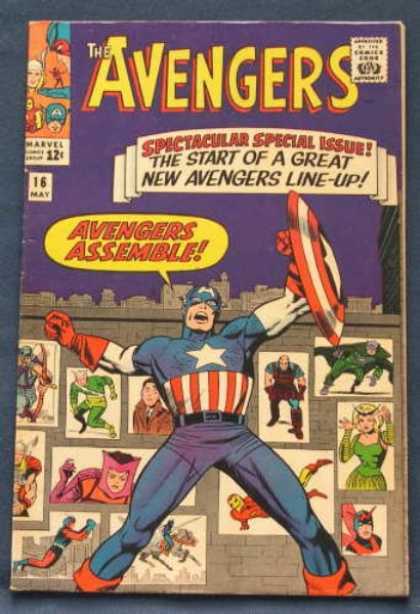 The team, famous for its battle cry of "Avengers Assemble! 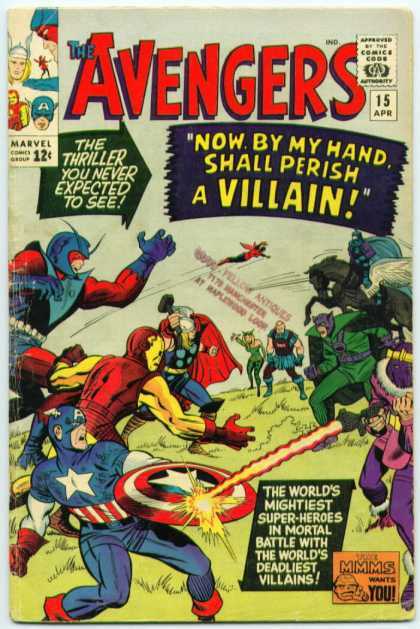 ", has featured humans, mutants, robots, gods, aliens, supernatural beings, and even former villains.